Spooky times ahead what with Halloween just around the corner. Get ready for some rather frightful fun at this year's Fright Night Spooktacular, taking place on Saturday 28 October from 5pm-11pm​ at Cranbourne Racecourse. Stroll down Spook Street for Tricks & Treats. Be wowed by the mysterious magicians at the CarnEvil Circus. If that isn't enough, there's live music c/o Ruby Ray & Dr Jazz plus the swinging sounds of the Dead Gangsters Band, facepainting, glow zone, alchemist lab, freaky food and more. Phew! Are you excited? You should be. Follow all the latest news on Facebook. Where: Cranbourne Racecourse, Grant St, Cranbourne. Tickets: 2-15yrs $29.50, Adults $31.50. Family pass 1 adults / 3 kids $109. Family pass 2 adults / 3 kids $129.50. 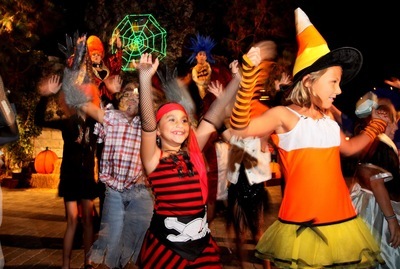 In another fabulous KidTown Melbourne promotion, we have a chance for you to win one of two family passes to Fright Night Spooktacular 2017 (2 adults, 3 kids) valued at $129.50. To enter, we ask that you jump on over to KidTown Melbourne's Facebook Post and tells why you'd like to win and show us your spookiest GIF in the comments! The competition will close 5pm AEST on Friday 6 October 2017 the winner will be messaged and announced on social media.